Atlantis Resort. Paradise Island, Bahamas. With more than 141 acres of water rides and pools, who has time to hit the beach? 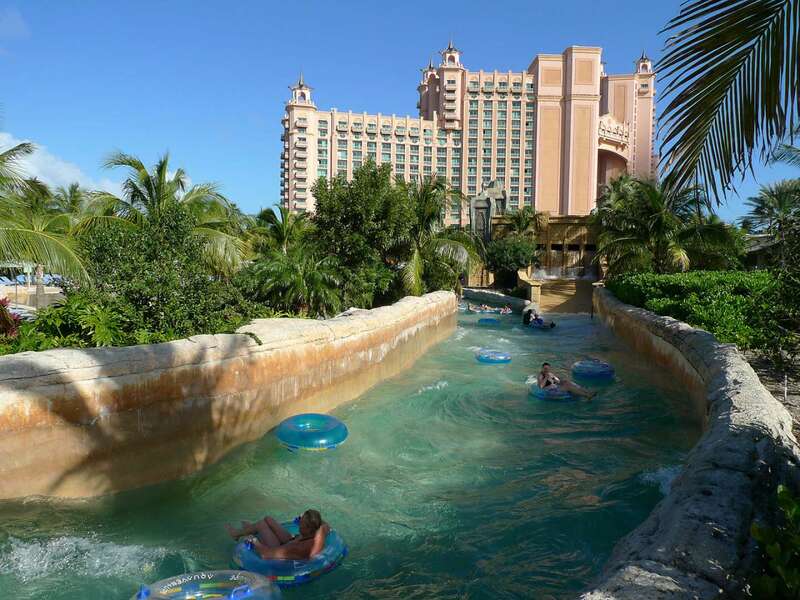 From the Mayan Temple to the ominous Power Tower to fun-filled Splashers Island, water play lovers will find 18 adrenaline-pulsing slides for kids of all ages. Ride the waves and rapids in the Current. Lounge around your choice of 11 different pools. Twist and turn through tunnels and emerge in an acrylic tube deep within a shark-filled lagoon. The thrills never end in this water-filled fantasy park. Contact: 1-888-877-7525; www.Atlantis.com. Hyatt Regency Hill Country Resort, San Antonio, TX. Float through the resort’s beautifully landscaped grounds aboard a trusty inner tube, making your way 950 feet along the Ramblin’ River. Stop by the activity pool and join in a game of water volley ball or basketball. Or make it a beach day and settle on the private, sandy man-made beach. Lounge on the sundeck before heading to the golf course or an afternoon at the spa. Grown-ups can enjoy the Texas-shaped adults only pool, while the kids take advantage of Camp Hyatt activities or teen-focused Underground events. Contact: 1-888-591-1234; hillcountry.hyatt.com.